Home Blog Why Go On a Carb Cycling Diet? 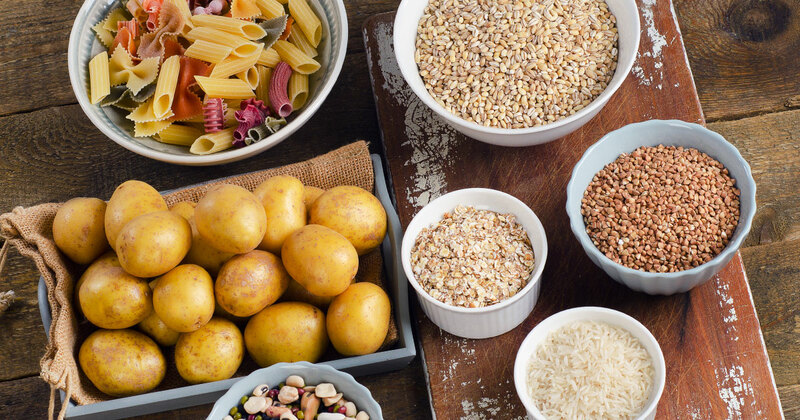 Why Go On a Carb Cycling Diet? Everyone has heard of the no-carb diet, but have you heard of the carb cycling diet? Although its roots might be in the bodybuilding world, many fitness enthusiasts and ketogenic diet fans are turning to carb cycling meal plans for their nutritional intake. Athletes adhere to a carb cycling diet for one main reason: to maximize fat loss without sacrificing their lean muscle mass. The classic carb cycling formula is to alternate between high and low-carb days throughout the week. In a 3/2 split, for example, you eat close to no carbohydrates for three days, followed by two days of moderate carb intake. During the three days of low carbs, you’re forcing your body to tap into your stored fat as fuel. After those three days, your body will enter a ketogenic state, which means your body will use fat as its source of energy. During this keto state, you may find that your energy levels are down and you may feel a bit sluggish. This is because your body is adapting to its new way of fueling up. How does a pre-workout supplement help? To help beat that lethargic feeling on your low-carb days, especially when working out, try BPI sports’ newest sports supplement, BEST PRE WORKOUT™. This pre-workout formula will help power you through those first few weeks of carb cycling thanks to BHB salts and MCTs. You’ll increase your energy so you can train more intensely at the gym, save muscle mass and enjoy much more focus during those foggier, low-carb days. If you’re doing fasted cardio first thing in the morning, use BEST PRE WORKOUT™ to give you an extra energy boost. It will also help preserve your lean muscle during the workout. When you wake up, your body is in a catabolic state, but the BHB salts and MCTs in BEST PRE WORKOUT™ provide an energy source for your body so it doesn’t start to break down the proteins in your muscle. Eating low carbs (this number changes depending on the person, but BPI sports co-founder James Grage keeps carbohydrates to around 50g per day) is harder than you think since there are hidden carbs in most foods. You want most of yours to come from fibrous carbs, meaning they’re not digested. Try to avoid the starchy, sugary kind like breads or potatoes. Examples of the fibrous kind include artichokes, nuts, broccoli and raspberries. Basically, they don’t elevate blood sugar levels. As you decrease the carb levels, your body’s glycogen levels will drop, too. And if your stores of glycogen drop, you begin to drop water as well. That’s because glycogen holds 3-4 times its weight in water. So don’t get scared that you’re losing muscle when you drop 3 or 4 lbs over the course of three days; it’s mostly water. Also, don’t forget that when you lose water, you lose electrolytes, too. This can result in a fatigued feeling, also known as the “low carb flu,” so it’s important to get enough electrolytes on your low-carb days. A supplement like BEST BCAA™ from BPI Sports can help you replenish your electrolyte levels and fight off these symptoms.